Seamus Heaney, Denis Donoghue, William Pritchard, Marilyn Butler, Harold Bloom, and many others have praised Helen Vendler as one of the most attentive readers of poetry. Here, Vendler turns her illuminating skills as a critic to 150 selected poems of Emily Dickinson. As she did in The Art of Shakespeare's Sonnets, she serves as an incomparable guide, considering both stylistic and imaginative features of the poems. 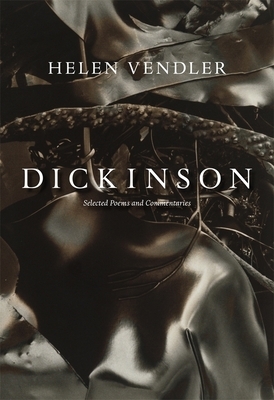 In selecting these poems for commentary Vendler chooses to exhibit many aspects of Dickinson's work as a poet, "from her first-person poems to the poems of grand abstraction, from her ecstatic verses to her unparalleled depictions of emotional numbness, from her comic anecdotes to her painful poems of aftermath." Included here are many expected favorites as well as more complex and less often anthologized poems. Taken together, Vendler's selection reveals Emily Dickinson's development as a poet, her astonishing range, and her revelation of what Wordsworth called "the history and science of feeling." In accompanying commentaries Vendler offers a deeper acquaintance with Dickinson the writer, "the inventive conceiver and linguistic shaper of her perennial themes." All of Dickinson's preoccupations--death, religion, love, the natural world, the nature of thought--are explored here in detail, but Vendler always takes care to emphasize the poet's startling imagination and the ingenuity of her linguistic invention. Whether exploring less familiar poems or favorites we thought we knew, Vendler reveals Dickinson as "a master" of a revolutionary verse-language of immediacy and power. Dickinson: Selected Poems and Commentaries will be an indispensable reference work for students of Dickinson and readers of lyric poetry. Helen Vendler is A. Kingsley Porter University Professor at Harvard University.